Texas State University System Board of Regents chairman Ron Blatchley and Aldine school district superintendent Wanda Bamberg will address approximate 1,504 degree candidates during the winter commencement exercises on Dec. 18-19. Bamberg will speak to graduates during the Friday (Dec. 18) ceremony, which will be held at 6 p.m. for the College of Education, at the Bernard G. Johnson Coliseum. Blatchley will speak at both Saturday (Dec. 19) ceremonies, at 10 a.m. for the colleges of criminal justice and humanities and social sciences and at 2 p.m. for the colleges of arts and sciences and business administration. An SHSU alumna, Bamberg has 31 years of experience in the field of education, 27 of which are with the Aldine school district. 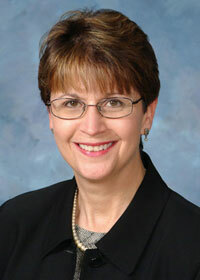 She has served as superintendent since Jan. 2007. She received her bachelor's degree in English and her master's degree in secondary education from the University of Alabama in 1977 and 1979, respectively, and her doctorate in educational leadership from SHSU in 2004. She began her teaching career in 1977 in the Tuscaloosa County school district, where she taught middle school and high school English, before moving to Houston to join Aldine as an English and reading teacher in 1982. In 1987, she moved to the district curriculum office as the program director of middle school language arts and was later promoted to director of curriculum instruction, executive director of curriculum instruction and assistant superintendent of curriculum instruction. Bamberg and her husband, David, have a son, who is a freshman in college. Currently a partner in BMB Homes in Bryan/College Station, which builds houses in the area, Blatchley is also an alumnus, having earned both his bachelor's and master's degrees from SHSU. The chairman of the TSUS board of regents, he retired from a career in higher education in 1985, the last 14 years of which he was director of student affairs at Texas A&M University. That year, Blatchley and his wife, Ruth, became McDonald's restaurant owner/operators. In 2003, they sold their 12 restaurants, and he retired again. 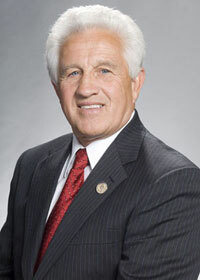 He is president of R. Blatchley Management; serves on the board of directors at First National Bank; and has previously chaired the Economic Development Corporation, as well as served on the boards of the chamber of commerce, McDonald's operators advisory board, the Ronald McDonald House of Houston, the Texas Municipal Power Authority, and numerous other civic and charitable boards. Blatchley has also served as a city councilman and mayor of the City of Bryan.